Reflecting excellent craftsmanship, this pair of earrings from Haute Curry will add a dash of glamour to your look. It flaunts a beautiful design along with silver plated base color that gives it a charming look. 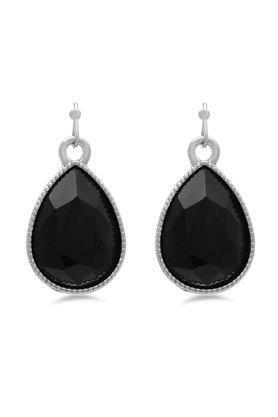 Up your style wearing this pair of lovely earrings. Pair it with a traditional outfit for an enhanced look.